Connection 1 Please select M 12 x 1,5 M 14 x 1,5 G 1/8" G 1/4" G 3/8" NPT 1/8" NPT 1/4" NPT 3/8"
Connection 2 Please select M 12 x 1,5 M 14 x 1,5 G 1/8" G 1/4" G 3/8" NPT 1/8" NPT 1/4" NPT 3/8"
Sealing: PTFE, Mesh: VA4; other materials on request. 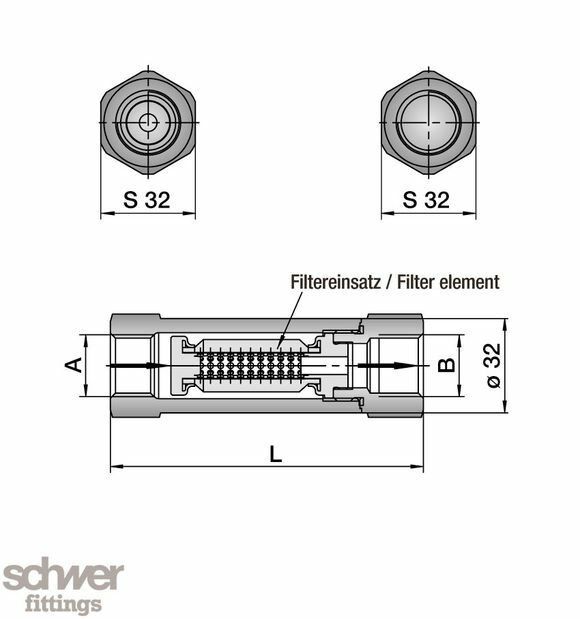 Order example: Filter body with G1/8" female thread & filter element 10 µm: HyF-LFG18-10µm. Body without filter element: HyF-LFG18. Filter element 10 µm: HyF-FE10µm. Technical data: Weight: approx. 0,42 kg, Working pressure: max. 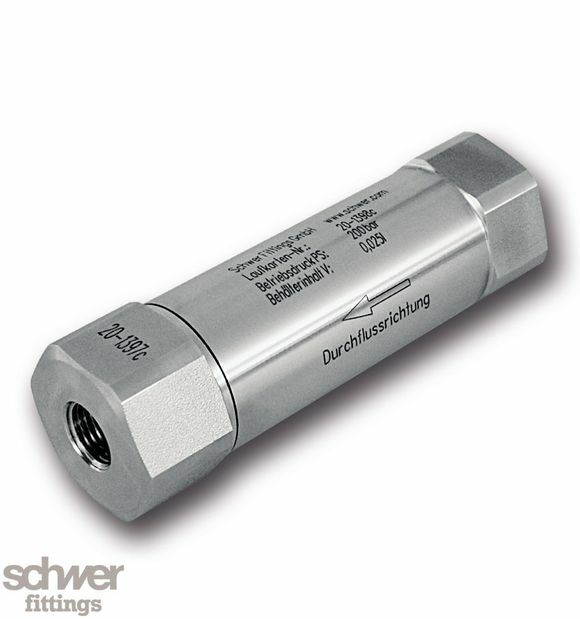 200 bar, Temperature: -200° up to +250° C, Capacity: 0,026 L. Q max. 10 l/min.